Tihar which is also known as Deepawali has just started (5th -9th Nov) in Nepal which is also the second biggest festival in Nepal. It is also considered as ‘festival of lights’ since the city and the houses are decorated with lights beautifully. Along with other lights, traditional Nepali lamp made of clay is filled with oil and twisted cottons dipped in the bowl to light it. During this festival, animals and birds are worshiped. People clean their house and adorn it with flowers, lights and more. Plus, the flowers budding in flower gardens redecorate the entire environment during this festival. Celebrated for five days, Tihar is known as “ Yampanchak”. Hindus worship Laxmi, the Goddess of Wealth during this festival. Dogs, crows as well as cows are also worshipped. In this particular day, crow is worshipped. Religious belief in Nepal regard crow as messenger of Yamraja, the god of death. People worship it to bring good luck in their houses. The second day is dedicated to the most loyal friend of mankind. 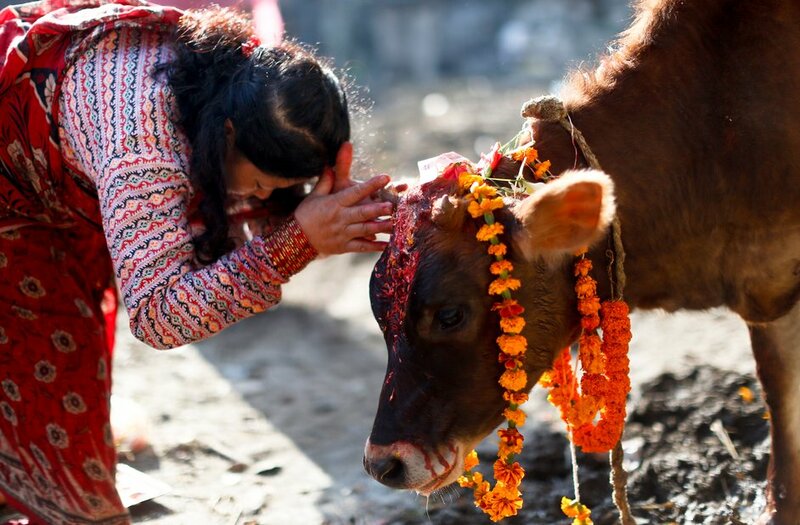 Kukur, the dog, Puja is done by putting a red tika on dog’s forehead and flower garland around the neck offering him foods and sel roti (traditional nepali dish). It is said dog can see endangers and the death coming. The third day of Tihar, Laxmi Pooja, is of vital importance, for the sacred cow is worshipped in the morning and the goddess of wealth together with family treasures at night.In the evening, Goddess Laxmi, the goddess of wealth is thanked for all the benefits that were bestowed on the families by lighting oil lamps (Diya) or candles on doorways and windows to welcome prosperity and well being. From the third day onward Tihar is celebrated with Deusi and Bhailo with light and fireworks. Deusi is mostly sung by the boys while the Bhailo is sung by the girls. Deusi is balladic and tells the story of the festival, with one person narrating and the rest as the chorus. In return, the home owners give them money, fruit and selroti . People perform Govardhan Puja, which is worship towards Govardhan mountain. Cow dung is taken as representative of the mountain and is worshiped. Additionally, the majority of the Newar community on the night perform Mha Puja (worship of self). This day is seen as the beginning of the new Nepal Sambat calendar year. Bhai tika is the last, and the most important day of Tihar. In this day, the sisters apply Tika to their brothers’ forehead (and hence, given the name as ‘Bhai Tika’), thank them for the protection they give. The Tika is colourful, which consists of seven colors and called as ‘Saptarangi Tika’ in Nepali. 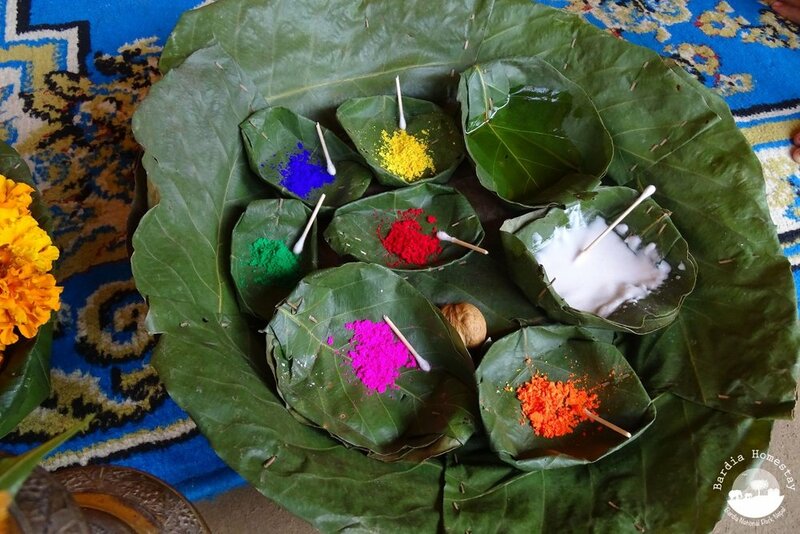 Along with the Tika, the sisters offer garlands of Saya Patri (Marigold) and makhamali (Gomphrena globosa), sweets, and special dishes for them. The sisters pray for the brothers’ long lives, and the brothers also put tika to sister and bow on her feet and assure her to protect her till the end of life. The story behind the tradition says that one-day Yamraj, the god of death visited her sister, the Yamuna where her sister applied tika on the forehead of her brother, Yamraj and they enjoyed eating foods and sweets, talking and sharing their moments. Yamraj also gave a gift to her sister in return. That was the day when the announcement was made by Yamraj that any brother who receives tika from her sister on that day will never die. For this belief, everyone celebrates Bhai tika on this day. 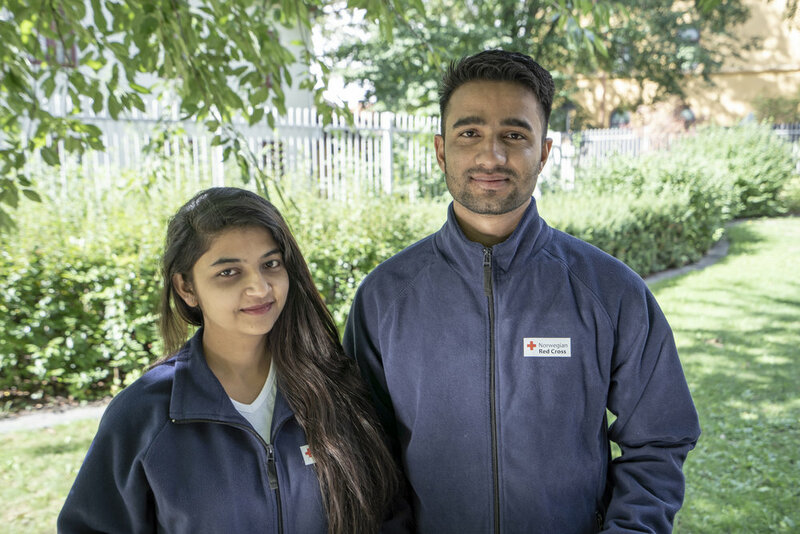 Keep following us to know How we are going to celebrate Tihar in Norway. We will post it on our next blog.